Adrienne from the Sunday Girl was so excited about the MAC Stereo Rose Mineralise Skin Finish and was so excited about its re-promotion in the Après Chic on twitter, that I felt I had to get it just so I knew what all the hype was about. 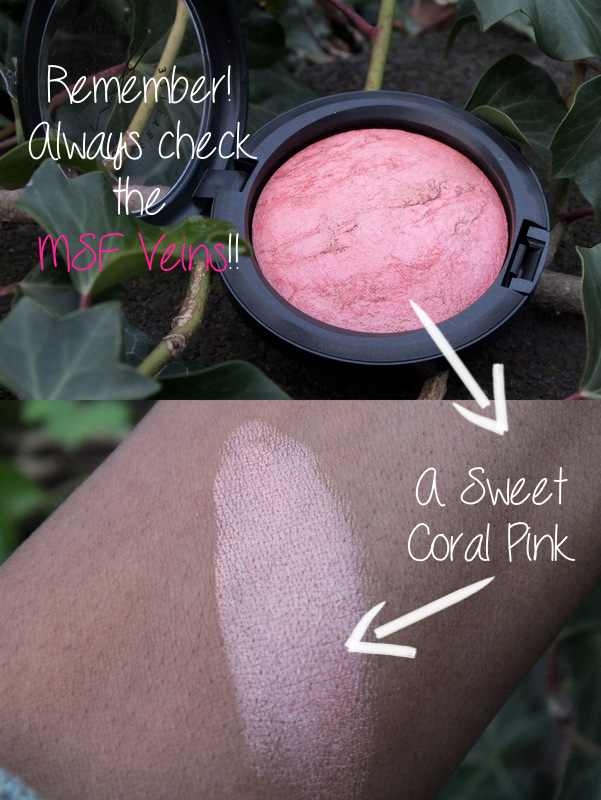 While I’m not the biggest lover of highlighters or shimmer blushes, MAC Stereo Rose is a Coral-Pink MSF with gold and bronze veins that will work on darker skin as a warm highlight. I’m not sure who exactly told me this tip (I bet it was Adrienne) but I think it’s a worthwhile tip to know so I’m going to share it with you. With Stereo Rose (or any Mineralize Skin Finishes) the veining in each MSF is different and unique to that product but this means that the veining can MAKE OR BREAK the product. 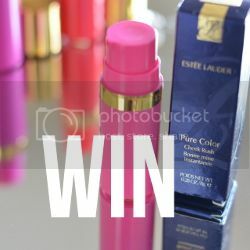 The unique veins can mean that the Stereo Rose looks amazing on one person but horrible on another so please, please, please check what your MSF veins are like before you buy your product. With mine (and my sisters) I chose MSF’s with prominent golden/bronze veins, as I knew we would be using this as a highlighter. I'm really sorry that these pics on my cheeks are not the greatest but I'm still learning how to use my new DSLR camera and trust me when I say it's a 'step forward, two step backwards" type of progress.